Panoramic views; Less than 1 mile from Bee Caves Rd. 15 minutes to Downtown. 6 bedrooms, 5.5 baths, and 4 living areas including spacious kitchen and formal dining room. Lit by skylights and oversized windows, expansive decks outside provide a connection to nature. Downstairs includes all amenities to make any Guests staying feel at home. Walk-out basement leads to yard with 10 x2019; pool with waterfall and hot tub. Garden area and wet-weather creek that runs through property’s west side. Gorgeous! Please, send me more information on this property: MLS# 2685477 – $1,450,000 – 802 Crystal Creek Dr, Austin, TX 78746. 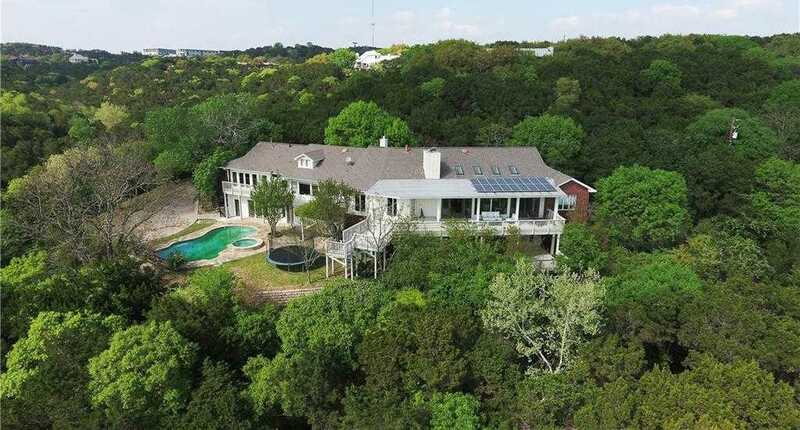 I would like to schedule a private showing for this property: MLS# 2685477 – $1,450,000 – 802 Crystal Creek Dr, Austin, TX 78746.